Console MMORPGs are apparently tricky affairs: regardless of how much effort developers put into them, something always seems too off — too complicated — and up until now the genre's thus largely remained a PC thing, especially in its purest sword-and-sorcery form. But Neverwinter for Xbox One gets closer to the ideal than any other EverQuest-inspired console MMORPG before it. I’ve played and enjoyed Neverwinter before (when I reviewed it on PC two years ago) but this time its Dungeons & Dragons-themed online action hit almost all the right spots. As a free-to-play game, it blazes a trail for others to follow with generous content and great controls for its fast and fluid combat. I can’t ignore the deafening silence of its community and some potentially deadly performance problems, but Neverwinter stands among the finest free-to-play MMORPGs on consoles to date. My own enthusiasm surprises me because I've already done this twice before, when I leveled two characters to the level cap of 60 on PC. Not much has changed about the core leveling process in the intervening two years, apart from the introduction of two new classes and new races, but interestingly, elements that I formerly found disappointing on the PC version have assume an odd sort of appeal on the Xbox One. Take the environments. 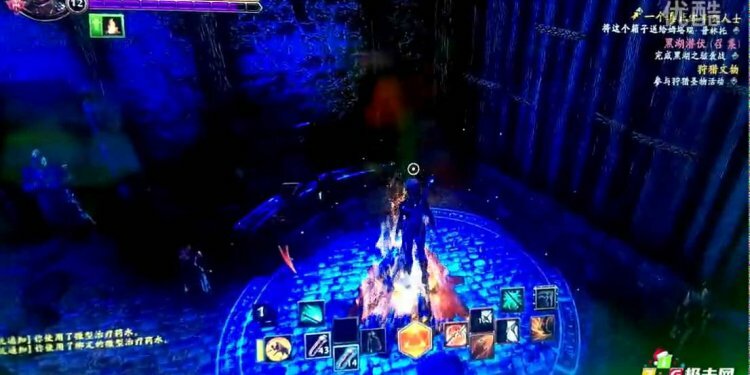 Neverwinter isn't without its moments of beauty, and only a few hours in, I found myself looking forward to the moment when I could again ride up the haft of Lakkar's Axe, a skyscraper-sized greataxe that forms a bridge across a chasm on Mount Hotenow as though Marvel's Galactus had dropped it while trying to chop down Yggdrasil... or somesuch. The problem is that most of Neverwinter's heavily instanced zones are as linear as that haft, and many consist of little more than long paths as you bounce forward from quest to quest. Sometimes the path widens considerably, yes, but it's an experience that's not terribly unlike the opening 100 hours of Final Fantasy XIII, where the action unfolds across unrelenting, ill-disguised corridors before at last opening up to wider vistas. You eventually get that here at the level cap, but only in the form of slightly less linear instances. But on the Xbox One, I find that's not so much a problem. The focus here is on combat in the style of God of War or Darksiders, and Neverwinter usually keeps me so focused on it that I rarely find cause to miss more open surroundings. I like to smash things, and it obliges with simple controls that make use the seven classes’ diverse abilities. As a person who usually plays warriors in MMORPGs, I tend to judge them on how satisfying they make it to beat things down with a big hammer or blade, and regardless of Neverwinter's other issues, few MMOs beat it in this regard. I might hit the Y button to activate Restoring Strike, and boom, up goes my greatsword knocking back a dead enemy like Babe Ruth hitting a homer. I'll let my Daily powers build up, and bam, I shoot down to the Forgotten Realms with a slam that sends enemies reeling. Using these abilities with the Xbox One controller's rumble would make them even more exciting, which is why it's so bizarre to find it missing in action.